Despite studying electrical and power engineering, being an electrician was never Ivars’ calling. For the past five years he’s been the IT administrator of the Latvian War Museum and an avid fan of geocaching, which more than explains his passion for adventure. Isfahan and Shiraz/Persepolis – hitchiking in Iran. This entry was posted in Iran and tagged aroosi, half of the world, Hitch-hiking in Iran, Iran, Isfahan, Khaju Bridge, Masjed-e Shah, Monar Jonban, Naqsh-e Jahan, no taxi, Persepolis, Persian architecture, Persian wedding, Shah Mosque, Shaking Minarets, Sheikh Lotfollah Mosque, SioSePol, touristic, UNESCO World Heritage on August 7, 2015 by Ivars Brencis. Exactly two weeks after entering the Islamic Republic, we found ourselves in the heart of it – Tehran – a metropolis that alone hosts seven times more people than my whole country. Three Latvians (plus one French guy) felt even punier being here because of this fact and because they did not know where will they be staying this night. We hadn’t succeeded to find a CS/WS host but we had heard that you can go to almost any park of Tehran and just pitch your tent up there. So, we had arrived in Park-e Shahr (City Park) which was recommended to us as one of such parks by our last night’s host Hamed. This entry was posted in Iran and tagged Angry Daddy, Backgammon, Darband, ice-cream, Iran, Iranian hospitality, Iranian mafia, Motorcycles in Iran, Park Abshar, Park-e Shahr, Persian picnic, Persian Santur, Tehran, Tochal, Traffic in Tehran, Traffic lights in Tehran on July 28, 2015 by Ivars Brencis. Riding to the Iranian border was quite unpleasant – wet and cold but, of course, we naively hoped that it will all change after crossing – we will enter the hotness of Iranian deserts and will throw off all our warm clothes. 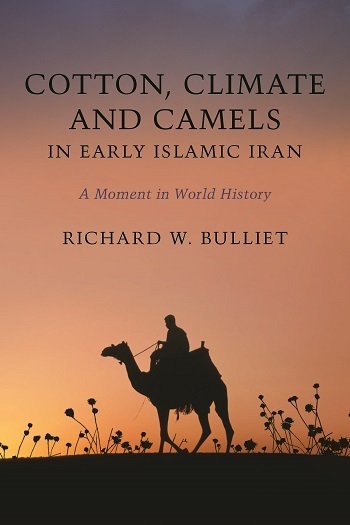 Iran – the Middle East – always seemed connected with the Sun (always shining on TV), vast desert-ish lands and camel caravans crossing them. Besides, it is the beginning of the New Year – one day before our entering the year 1394 had started in this country. According to Persian calendar, the new year starts on the day of spring equinox, and usually the weather is pleasant in these days. This entry was posted in Iran and tagged Armenia, border crossing, DAIISH, geocaching, Iran, ISIS, Jolfa, military, Nakhchivan, rials, rice, Tea, tomans on May 25, 2015 by Ivars Brencis. Despite all the warnings directed at us and rumors about all that could go wrong with our intended ferry trip from Crimean peninsula to Russia, all was well and simple. The ferries run all night long with regular intervals (we arrived to the port around 11pm) and we didn’t have to wait in any queues because we were ‘pedestrians’ (and one cyclist). There was a queue for cars but it didn’t look tremendously long. Since the annexation of Crimea in March, the number of ferries operating between Port Crimea and Port Caucasus has been increased and now there are in total about 10 vessels (including train ferries) navigating back and forth from these destinations. This entry was posted in Crimea, Russia and tagged Anapa, Caucasus, Crimea, elektrichkas, ferry, Hitch-hiking, Kerch, Novorossiysk, Russia, terrorists, Trains on March 4, 2015 by Ivars Brencis. This entry was posted in Crimea and tagged Adventure, Black Sea, Crimea, Expedition, Hitch-hiking, How Many Roads, Russia, Sevastopol, tourism, Ukraine, Yalta on February 15, 2015 by Ivars Brencis.